As part of our weekly “Meet the Staff” series we’ll be introducing you to a new staff member each Monday who helps create learning through the power of play at KidsQuest Children’s Museum. 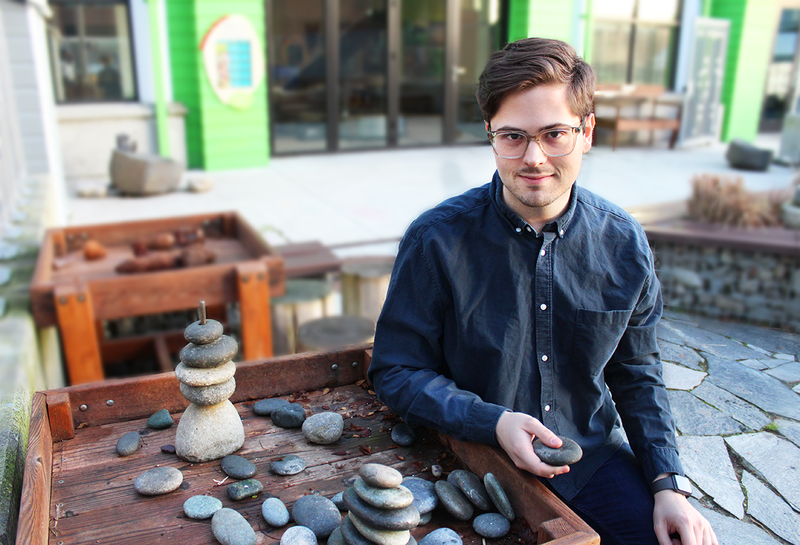 This week we introduce you to the Visitor Experience Supervisor, William Ekstrom. He just celebrated his one year anniversary at KidsQuest! Why do you work at KidsQuest? Because I am passionate about everything this non-profit organization does for the community! What school did you go to/are you going to? I graduated in 2017 from Western Washington University with my BA in Cultural Anthropology. Favorite KQ Exhibit or Activity: Dinner and Dancing! Kids & Pets: Someday, I will have my own shih tzu puppy! Fun Fact about you: Born and raised in Washington.